Hope you’re having a nice week and enjoying autumn! 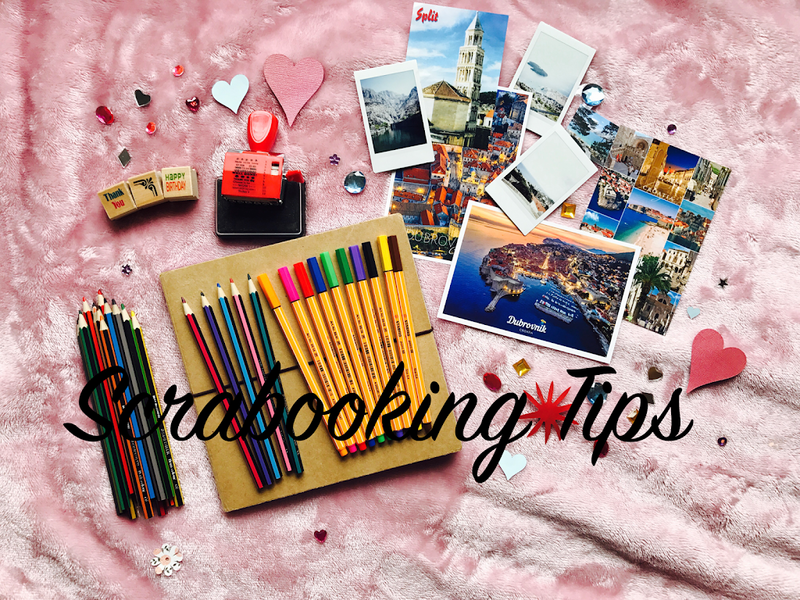 Today I am going to share with you 5 tips for scrapbooking! I love scrapbooking. I think it’s a really great place to display all the bits, bobs and photos you keep without keeping them tucked away in boxes or piles that you’re never going to look at again. One of my favourite things is looking back on old scrapbook pages and remembering what I did – like a snapshot of the day, week or a particular event. I tend to scrapbook one day at a time, and on days where I have done something fun or exciting. You’re going to need a scrapbook. This can be any book preferably one with plain paper. Think about the size you want – you don’t want a book too big you can’t fill a page with a day’s worth of stuff or a book so small you can only fit tiny pictures on it. I would also recommend trying to find a scrapbook with a pocket in the back so can keep your photos and materials before you have scrapbooked them. You should consider if you want your scrapbook to have a theme running thoughout or if you want each page to have an individual theme to reflect the day you’ve had. I don’t have a running theme. I like to make the page suit the activity, for example if I am scrapbooking a day with my little cousins I may make it more childlike with little animals, cars or things that they like, whereas if I’m scrapbooking my Birthday I will add balloon pictures, colours and probably birthday themed stamps. Collect things. By this I don’t mean the items such as photos you what to scrapbook about, I mean collect things like stickers, gems, coloured paper or card, any pretty or themed bits you want to add to your book to make it that bit extra special! Keep things. Now by this I do mean keep photos, postcards, tickets and wristbands relating to anything you want to scrapbook about. One of the things I really love to put in my scrapbook is Polaroid photos, I think they look so cute and work well in a scrapbooks. I use the fujifilm instax mini 8 camera that I got for Christmas last year. Add a date and a title. I know this is not school and you should be enjoying your scrapbooking, but it makes it so much nicer looking back in years to come if you can see exactly what you were doing that day and when it was. You may want to write this in nice coloured fine liner pens. 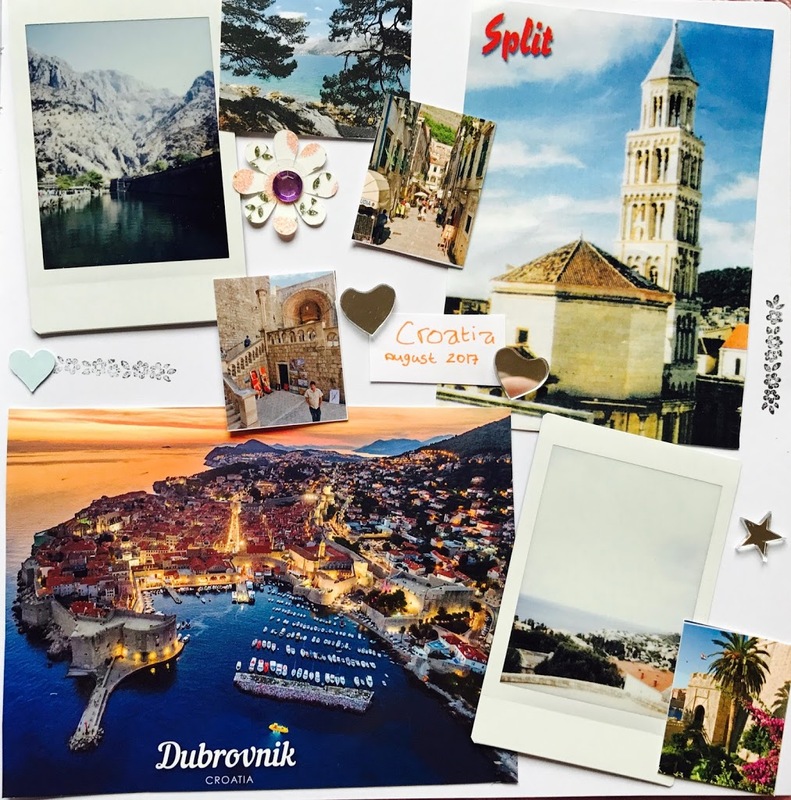 Here is an example page from my scrapbook that I made of my summer holiday! Now it’s time to get going if your new to this and want to start a scrapbook, some things you could start with may include birthdays, summer holidays, a day out with friends or family and of course halloween is coming up so if you’re doing anything exciting this would make a lovely scrapbooking page! These are just some things I think that it is nice to consider when scrapbooking obviously I’m no expert so if you can think of any other tips please leave them in the comments below. I’d also love to know if you keep a scrapbook and what your favourite pages are. Thank you for reading, hope you have enjoyed! These are great tips! I've always wanted to take up scrap booking, but I've never been very good at taking photos of things that are good reminders of different events. I really like the page of your own scrap book that you shared, it looks so cute! Thank you! I love my scrapbook, it feels so special to look back on!